After all the festivities and special food of the occasion, now for some simple yet worthy cooking. This one sounds simple but the health benefits are tremendous. 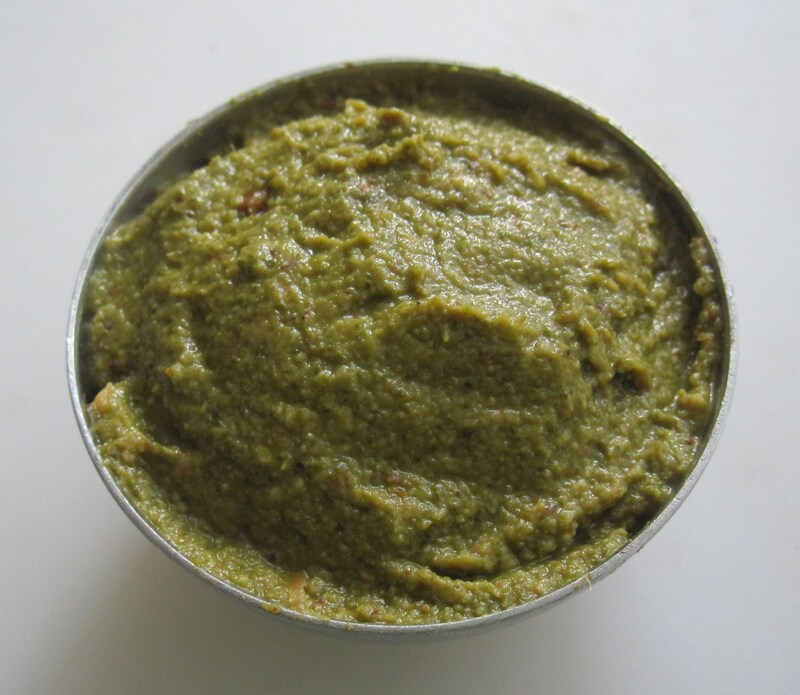 Vallarai Thuvayal is a green chutney with the herb Vallarai. 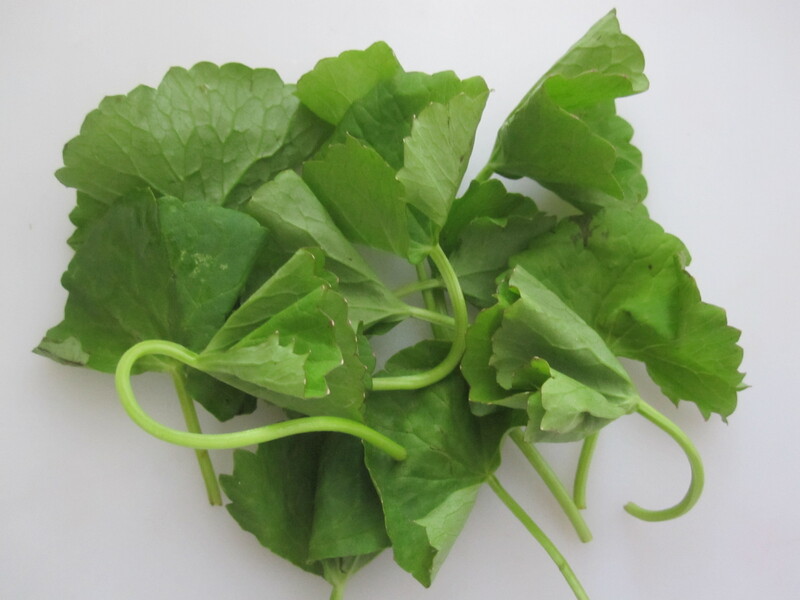 It is called the Indian Pennywort and its botanical name is Centella Asiatica. 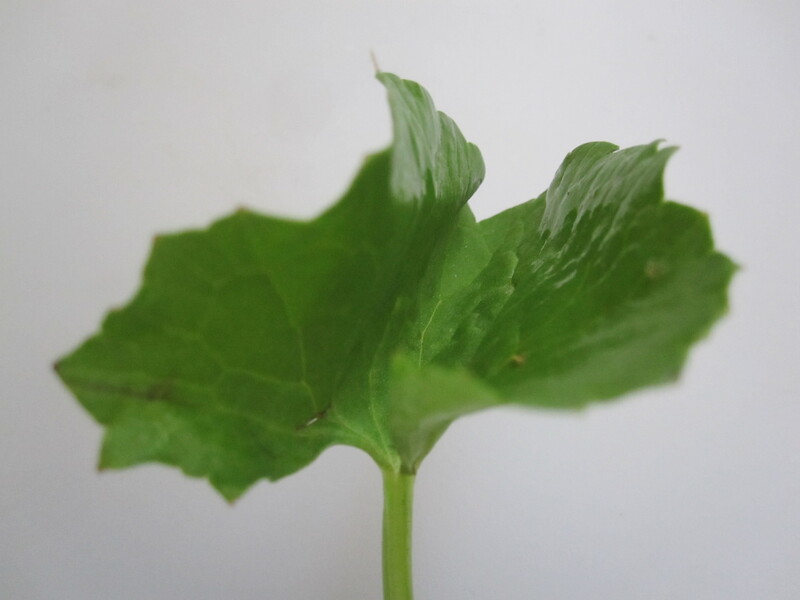 Centella asiatica, also known as ‘Vallarai’ in South India, belongs to the family of herbs that help in maintaining youthful vigour and strength, reveals Charaka, the foremost exponent of Ayurveda. 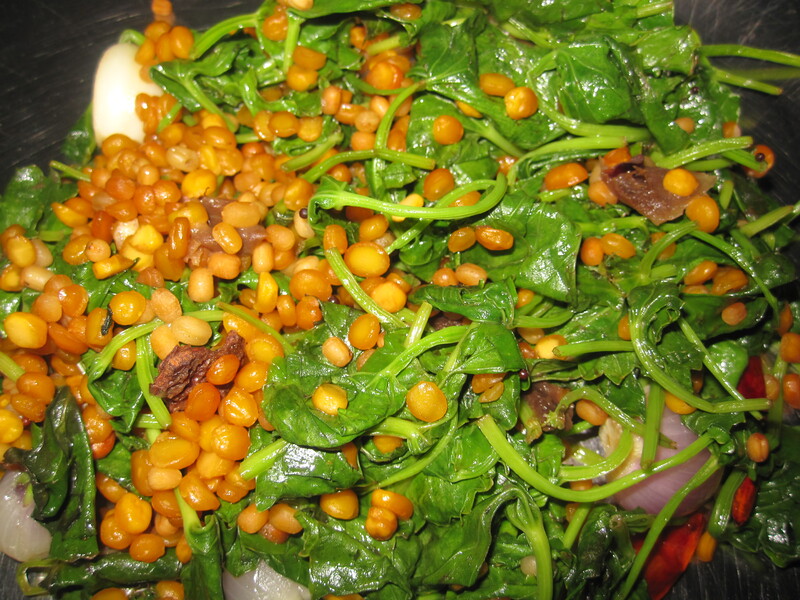 Vallarai Keerai or the Pennywort leaves are also available as toffees, syrups, juices or powders. They are available in the Naatu Marundhu Kadai or the Tamil Medicine Shops in and around Tamilnadu, and other Sidha and Ayurvedic Medical shops. Cool this and grind in a blender with tamarind, salt and very little water to a smooth paste. The quantity of chillies can be altered according to spice preference. Nanri. panpaattudan koodiya vaazhkkaiyai katru thandhadharku! Unga amma-appa-ponnu sentiment thaangala. Konjam adangureengala!